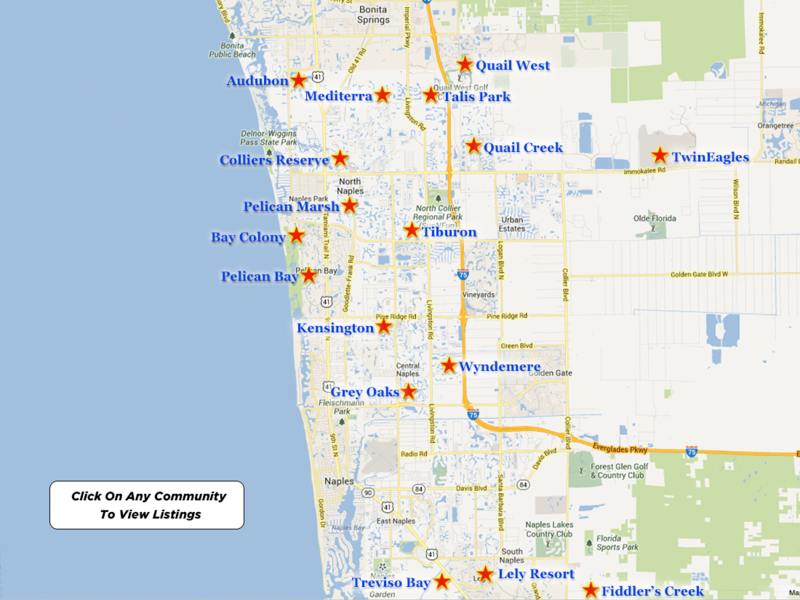 The Club at The Strand lies in the heart of the luxurious Strand community located in central sunny Naples, Florida. It is a golf and country club with wonderful amenities for its members and their guests. The Strand is spread out among five hundred and seventy five lushly landscaped acres surrounded by fine real estate including coach homes, single family homes, villas and condos. The Strand homes is full of diverse landscaping and you can expect to see crystal clear fresh water lakes, tropical vegetation, multiple types of flora and tropical palm trees throughout the property. The flowering marshes and towering oak trees jut up against forests of pine trees and make for a breathtaking landscape. The Club at the Strand places great emphasis on protecting the environment and it provides a natural wildlife habitat as well as conserving the natural resources of the area. It does a stellar job of incorporating this natural beauty into its club and its golf courses so everyone gets a chance to appreciate the area’s beauty. The Club at The Strand offers five star services, amazing facilities and a gorgeous backdrop. The members here are known for being friendly, ready to engage in social events and enjoy the Naples country club lifestyle together. Renowned architect Gordon Lewis designed the twenty seven hole championship golf courses with great attention to detail for the layout of each course. There are three nine hole courses; the Sabal, Savannah and the Preserve. Each course offers its own distinct challenges and opportunities to play to your skill set.The courses have six sets of tees which accommodate all levels of players. For the ladies, the Gold tees present a nice challenge for lower handicap players and the orange tees allow higher handicap players to enjoy the game and avoid some of the longer carries. The black tees are for the men and stretch out over seventy three hundred yards, where as the white tees measure almost fifty seven hundred yards. The Strand’s focus is on accommodating every level of play in a fun and challenging atmosphere. Members of The Club at the Strand enjoy a helpful and patient staff that treat them like family. There are a wide range of clinics and lessons offered so each member has a chance to improve his or her game. Private lessons are also offered by the PGA golf professionals and teaching staff. There is a game for every member. The nine hole fun groups cater to beginner golfers and the nine and dine golf scramble mixers cater to more accomplished golfers and league play is also offered to those with some golfing experience who want to compete in some friendly competition. Members here get the chance to interact with other welcoming members, enjoy the game of golf and all of the club’s other amenities and do it all in paradise. The beauty of the Naples location is that the events are able to be played on a year round schedule. The club hosts special holiday events and tournaments for men and ladies throughout the year, as well as different golf related social events. The golf course also has a fully equipped golf shop with golf apparel, accessories, equipment, as well as non-golf related merchandise such as birthday gifts, jewelry and candles, which makes it a convenient one stop shop for anything you may have forgotten or need to improve your game. There is apparel for men, ladies, teens and children and club logo items are also available for sale. The friendly onsite staff will help you with any of your golfing needs.